T-shirt Wolperbua for men from Stockerpoint in sand. 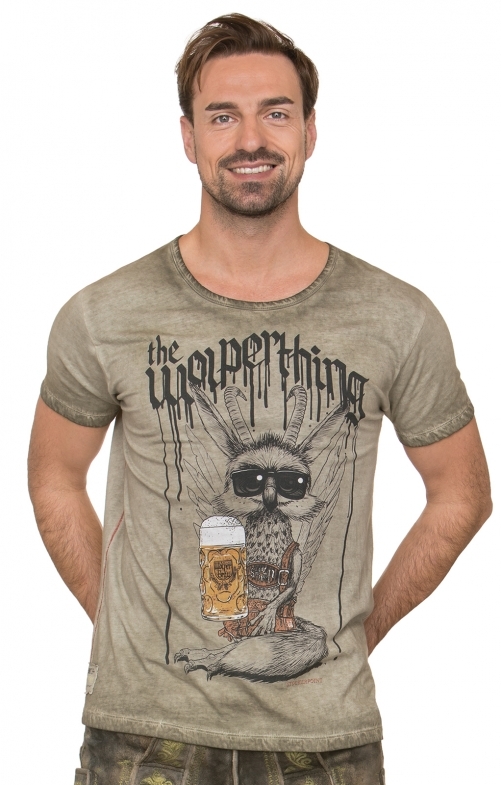 The traditional shirt in high quality convinces with its unique "Wolpertinger" print. Do you already know? Wolpertinger are usually only seen at midnight. The trendy look of "oil-washed optics" ensures the cool look and sets the stylish "designer print" in the limelight. The ideal combination partner for jeans and leather trousers. Qualität ist gut, hab’s noch nicht gewaschen.